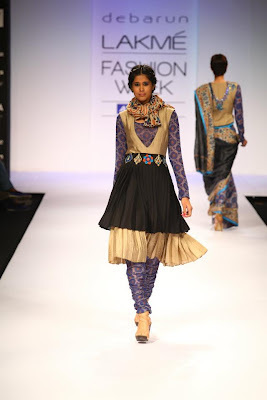 Here's a selection of outfits from Debarun Mukherjee's show at 2012 Lakme Fashion Week Winter/Festive. 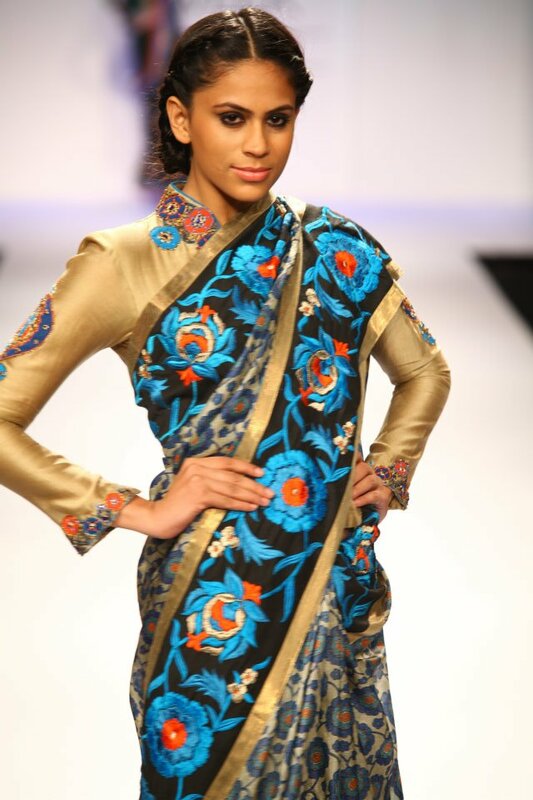 The show took place way back in August this year and I've had these photos saved up ready to post in draft form and it was only when I wore my own Debarun outfit from their 2011 winter collection that I remembered about this unfinished blog post! 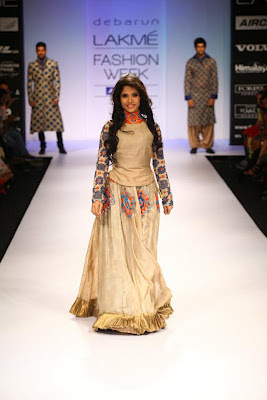 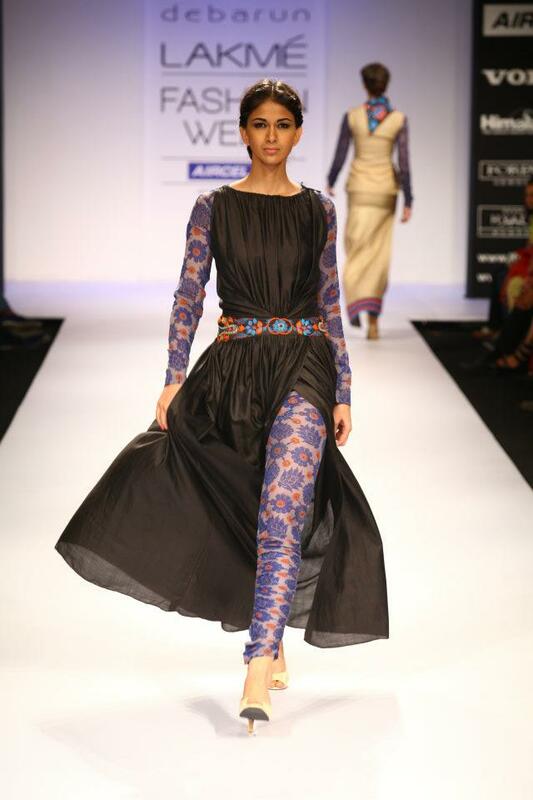 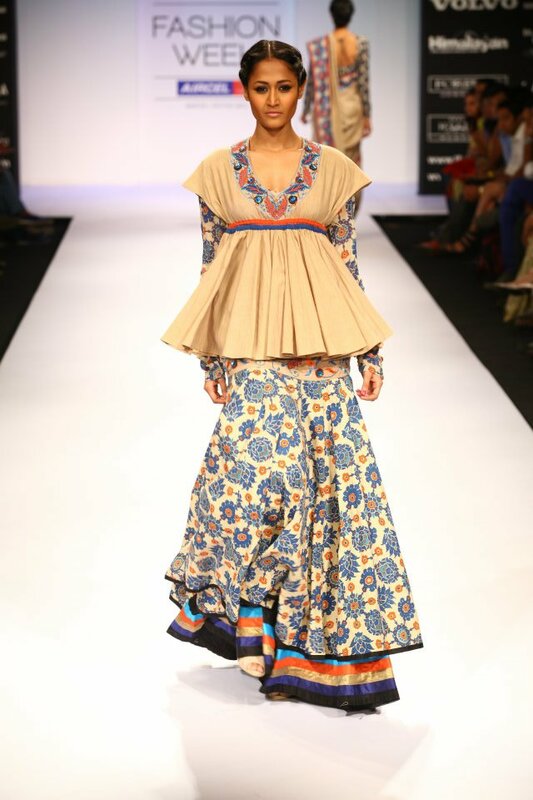 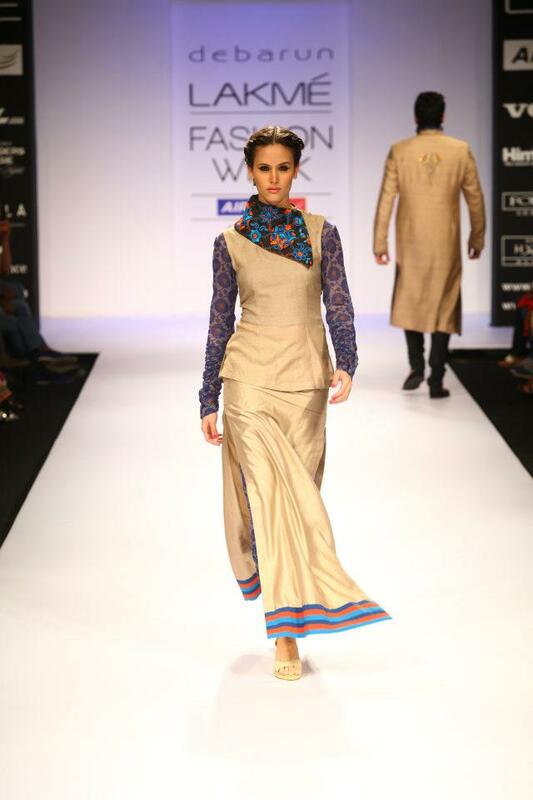 This collection was called Omnipresent and was part of "Indian Textile Day" at Lakme Fashion Week. I would say this designer isn't the most obvious choice for asian fashion fans who want glamour, but there is something elegant about these outfits and you'd stand out wearing on of these at a party where all the other guests were wearing the usual bling-ed up outfits. 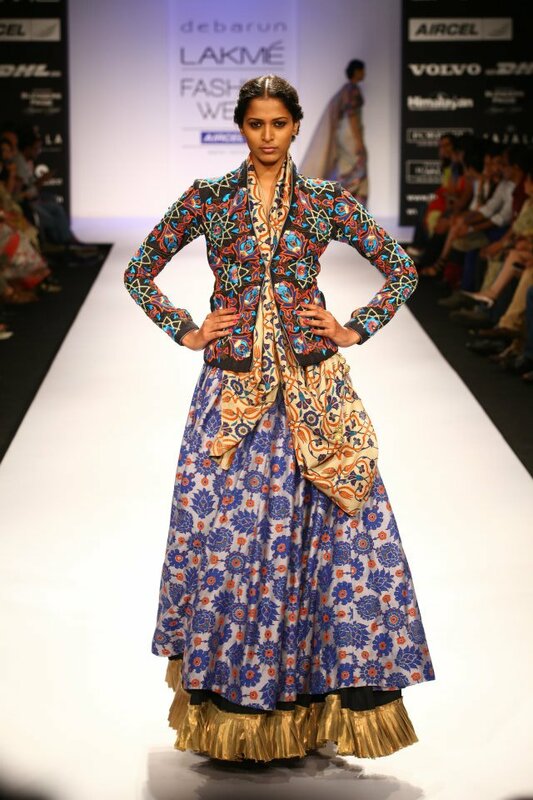 The patterns featured are chintzy - originally coloured cotton fabrics made in India and brought to the rest of the world - mainly Europe. 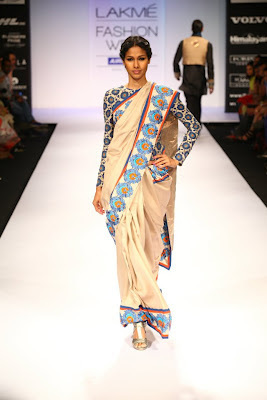 I found a brilliant book of these kinds of patterns a while ago. The blues used are a beautiful and seem to modernise the patterns.